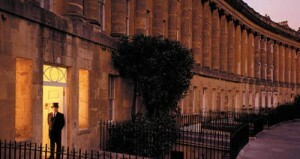 Well, for one, Nigel has a soft spot for Bath and two, he loves the Royal Crescent Hotel! Just like me! That ‘to die for’ spa is the one you’ll be experiencing if you take up this truly amazing offer. In conjunction with the world famous Royal Crescent Hotel I am launching my superb new course for professional women this November. The hotel is hugely supportive of local business and has been very welcoming to Changing People. It really is the most fantastic venue – only the best for my clients! Just see what you’ll be getting! Your Speak Up experience will begin on Sunday afternoon when you check in to the world famous 5 star hotel at around 3pm. There is valet parking for guests. If you can, do arrive early so you can take a stroll around the glorious city of Bath and take in the world famous Bath Christmas Market. Professional development and a chance to get some Christmas shopping done! The Speak Up experience is a spa for mind and body! The numbers are kept small so everyone is assured of my full attention; when you are not working one to one you are free to make full use of the hotel’s beautiful spa and let the thoughts flow. You’ll receive a brochure detailing all treatments available before the day, or you may just wish to enjoy the pool, or the public rooms of this elegant Georgian hotel. At 7pm the group will meet up for a pre dinner drink followed by a three course meal in the Royal Crescent restaurant after which time you can mingle with other participants or hit the town! Bath will be fully lit for Christmas and looking beautiful so you may wish to take an evening stroll. After breakfast we adjourn to our private room to begin work on advancing your career! Refreshments (hand baked biscuits etc) are served twice during the morning, with Bath buns or scones in the afternoon, so we’ll have a relatively light lunch! All the above for the amazing introductory price of £689 (plus VAT) (the bonus elements alone are worth £400). Book now to secure your place at this special launch price – it won’t be repeated! And Nigel? Well, obviously I can’t guarantee his presence but he does have a November birthday….